Fever-Tree Madagascan Cola with golden rum ? Fever-Tree Ginger Ale with whisky ? Fever-Tree Madagascan Cola with bourbon ? 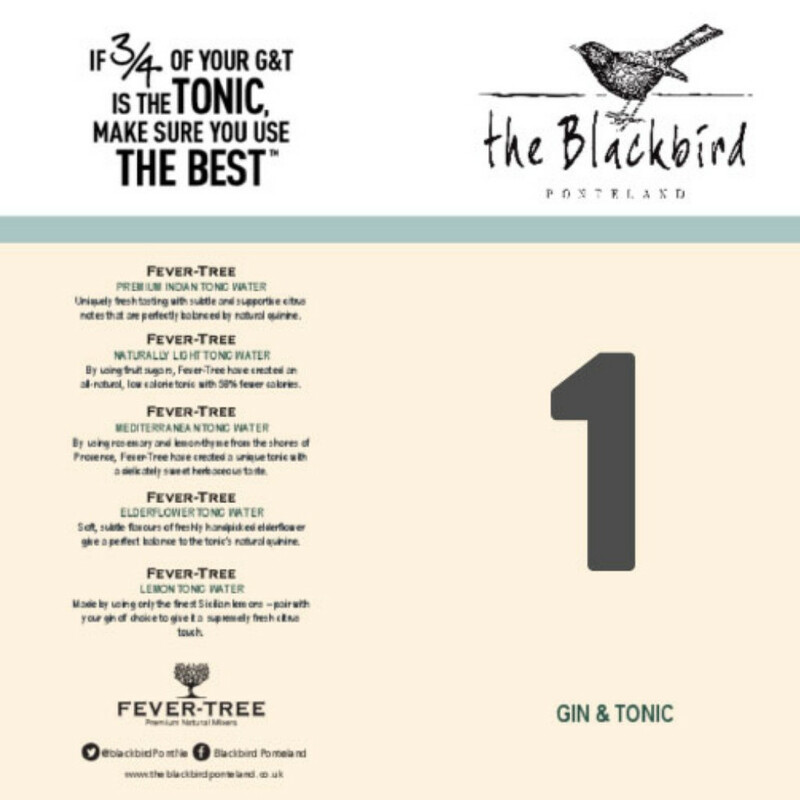 Fever-Tree Ginger Beer with dark rum ? 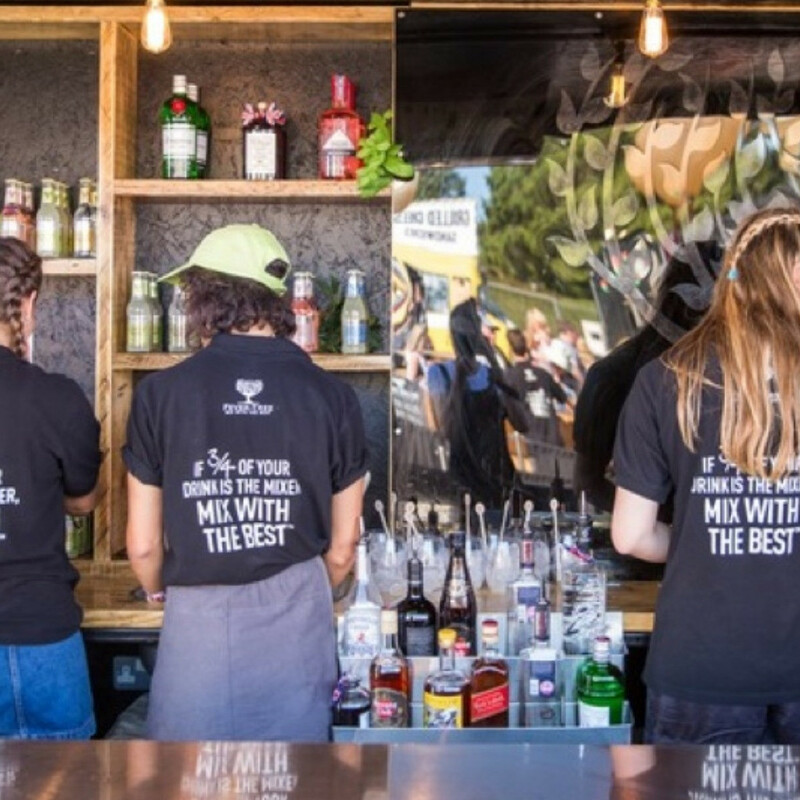 Fever-Tree Ginger Beer with Tequila ? Fever-Tree Ginger Beer with spiced rum ? Fever-Tree Ginger Ale with cognac ? 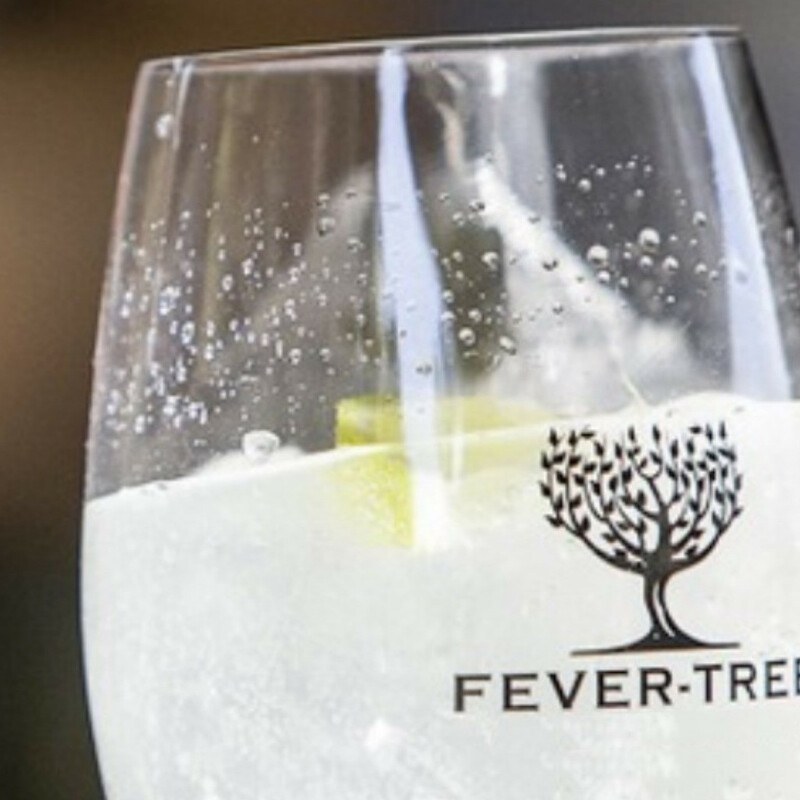 Fever-Tree Soda Water with whisky ? 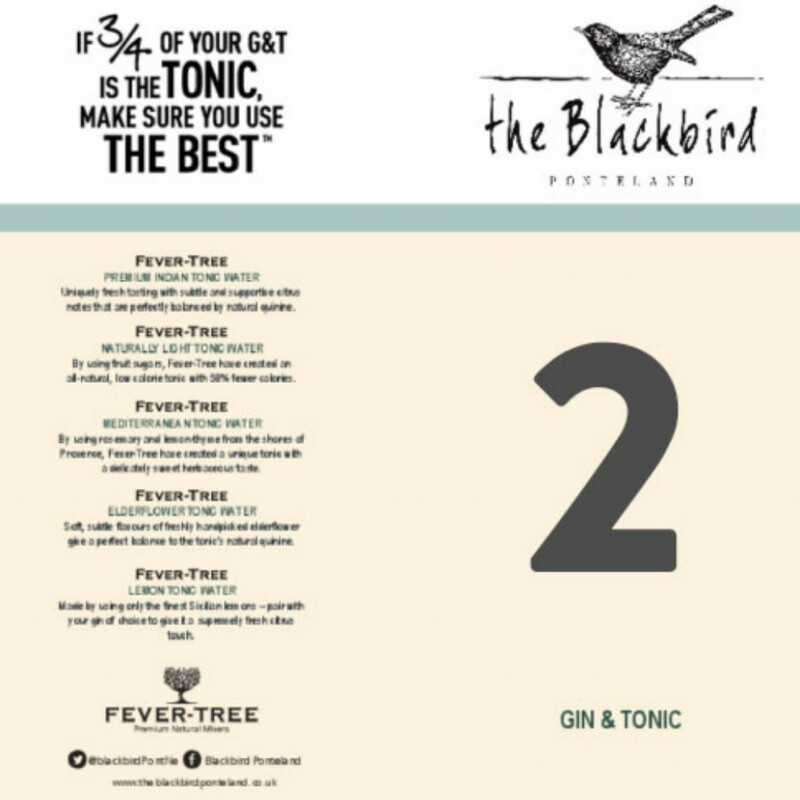 Would you like to add G&Ts to your menu?